I came to this insight by mashing up Kevin Kruse's "One Nation Under God" with Holley Ulbrich's The Fellowship Movement". 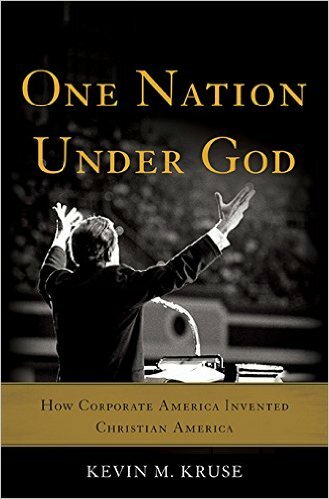 Kruse describes the setting: the national elite (business, political and religious leaders) aggressively promoting a conformist form of Christianity as an essential element of Americanism and patriotism. 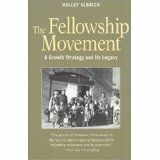 Ulbrich describes what was happening in Unitarianism at the same time: the formation of mostly humanist fellowships across the country. My essay just connects the dots. I am trying to imagine what that period felt like to those newly self-identified Unitarians. The atheist and the non-believer were being identified as an internal enemy of America, the people whose religious opinions were unacceptable. And so, joining a Unitarian fellowship was both an act of defiance and an act of camouflage. Atheism disguised as a church. (Someone could write a whole history of our modern UU movement, its liturgies and pieties, as the working out of that weird proposition in practice.) Non-believers who got up and went somewhere on Sunday morning. What I am suggesting is that this process of being formed as a center of resistance to Christian Nationalism gave the UU's as sense of themselves as "critical insiders/outsiders" to American culture. On the one hand, we were the "excluded other," perhaps even a dangerous element. And on the other hand, we were the "elite in exile." I think that much of current thinking about ourselves focuses too much on our self-image as the exiled elite. Well, I could go on and on about the possible implications of this, but this is my starting point. UU's sense of themselves as outsiders and cultural radicals come from the circumstances of our creation as a modern religious movement, and more importantly, it comes from our own historical experience of being identified as outside the norm, the other and the scapegoat. Our book discussion group is currently reading Regaining Balance, which is a polemic against the UUA's alleged radical relativistic stance towards differing views on reality vs. the naturalistic humanist stance. So far I have not been very impressed with it. It is coming across as angry and defensive. If, as the author avers, Unitarian Universalism is on the decline because it has abandoned its commitment to human reason, that would be important news. I am not that far into the book, but I am not holding out great hope for it. Maybe better to read Humanism in context. Conrad, you may like to read some of William Murry's stuff, which contains a very positive exposition of Humanism minus the anger and defensiveness of polemics like Regaining Balance.